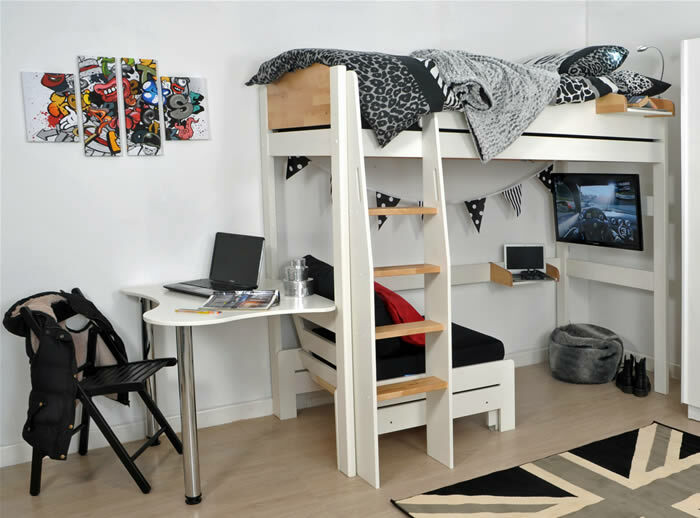 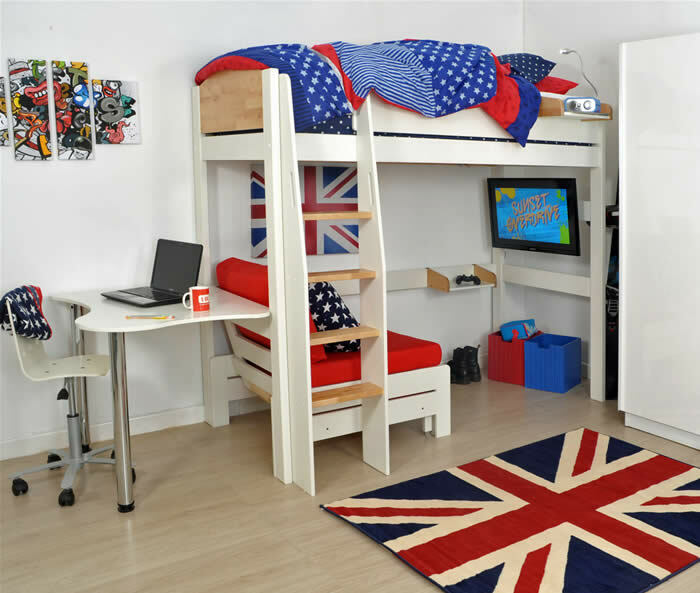 The Kids Avenue Urban high sleeper bed set 8 features a solid pine and natural birch frame, pull out chair bed, TV support bar and curved desk. 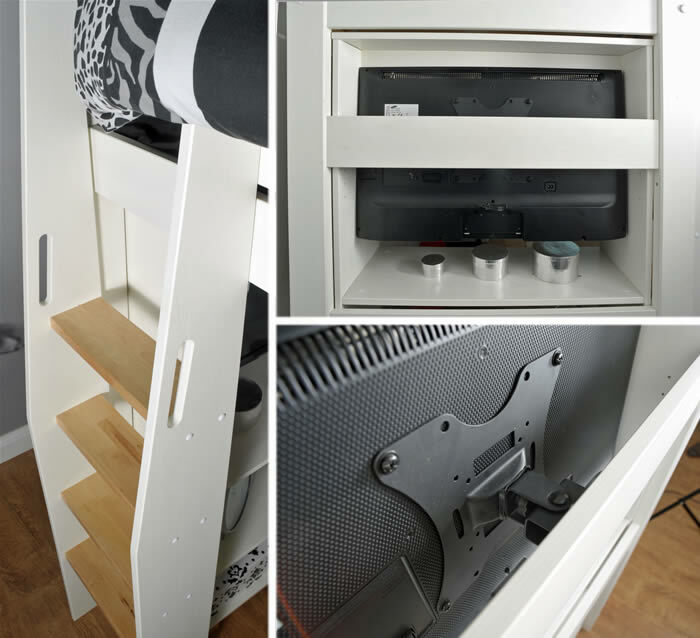 To access the Urban's sleeping area a reversible four step ladder is included which can be fixed to the front left or right sides of the bed. 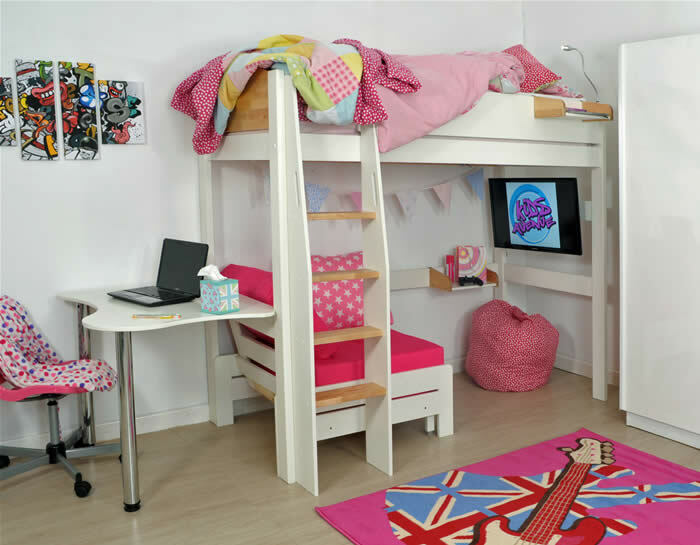 Sit and relax in the Urban chair bed or simple extend for a comfy space saving guest bed, choose from black, pink or red cushions.